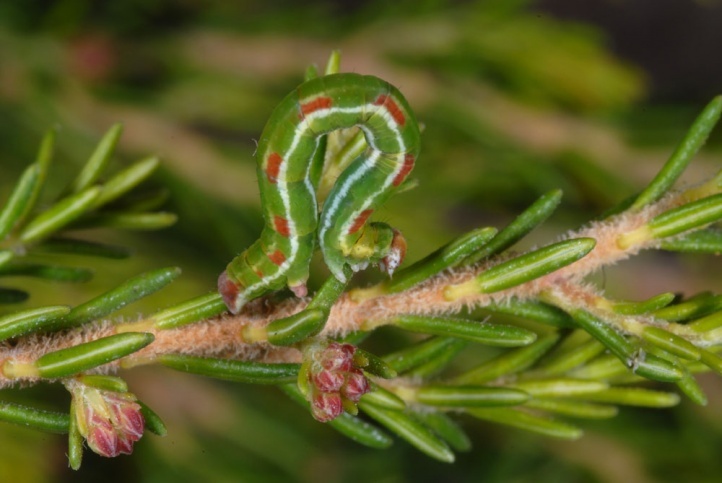 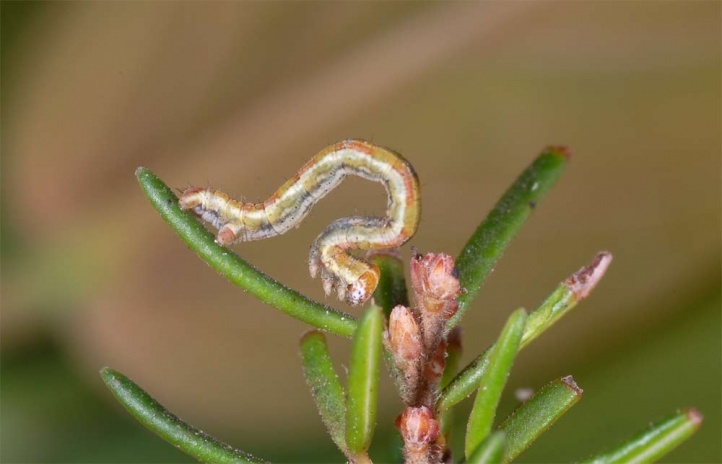 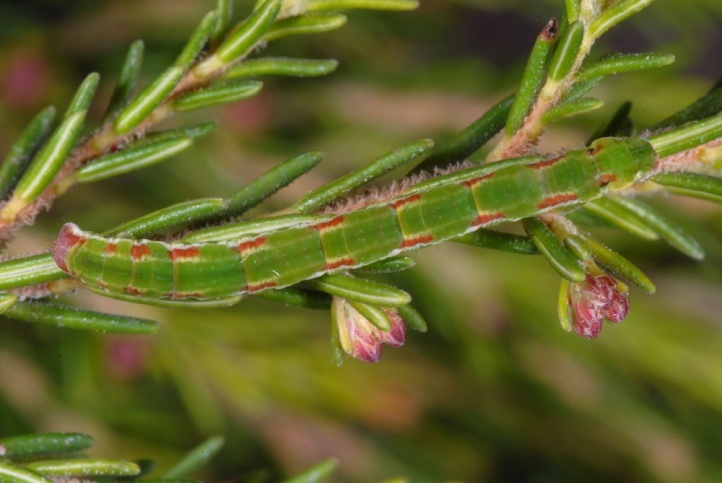 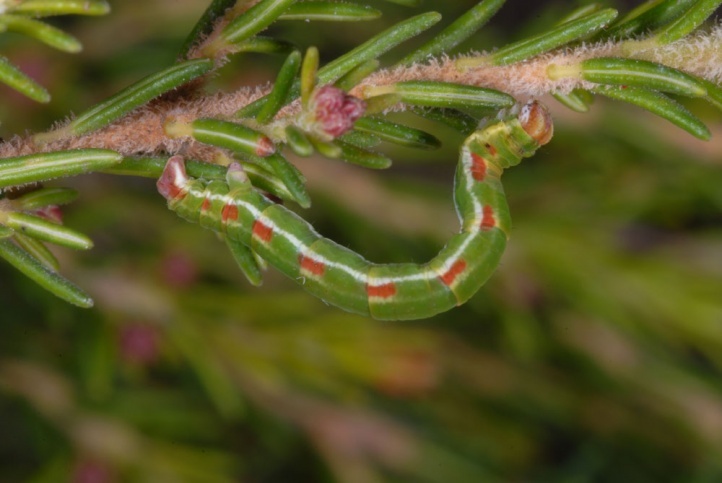 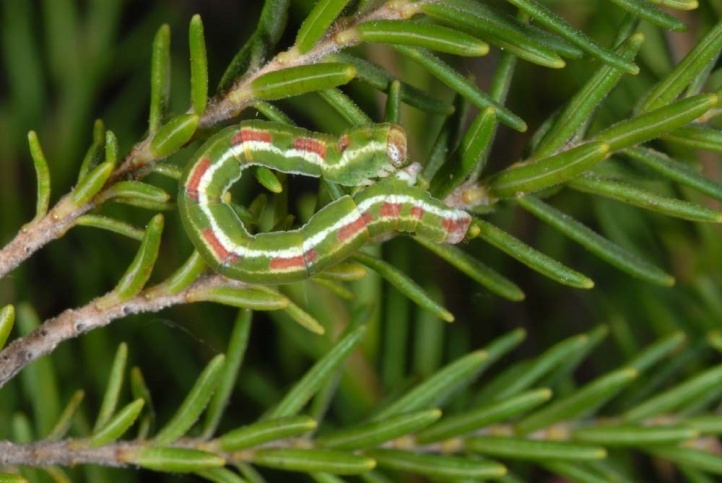 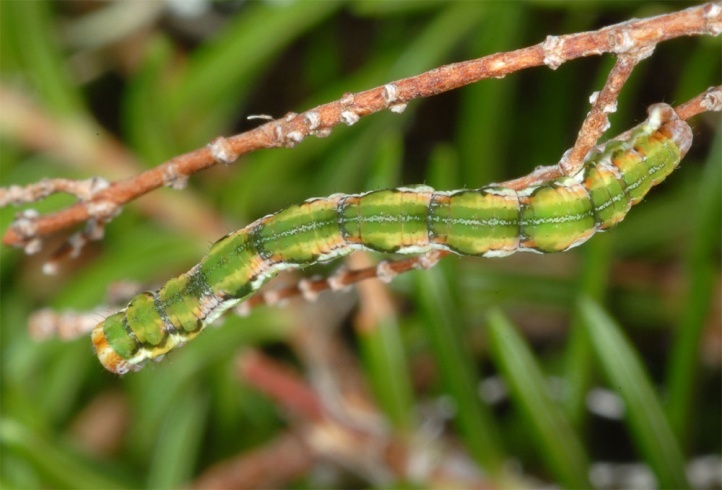 The caterpillars are principally polyphagous on woody plants, but they prefer clearly Erica arborea. 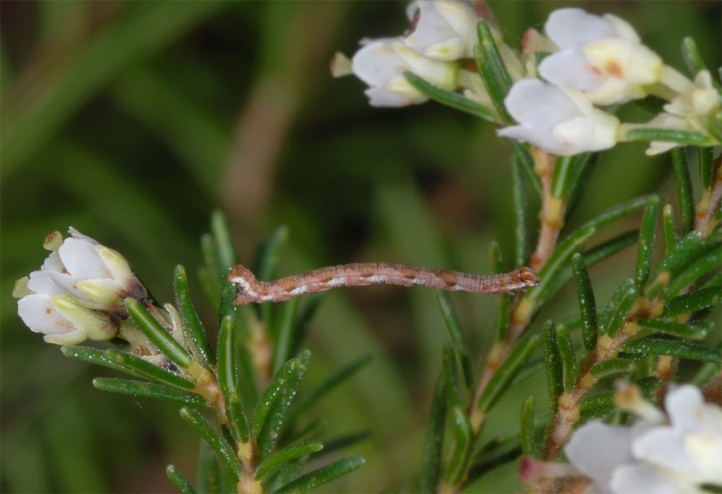 All own larval observations succeeded on this plant (so far over 40). 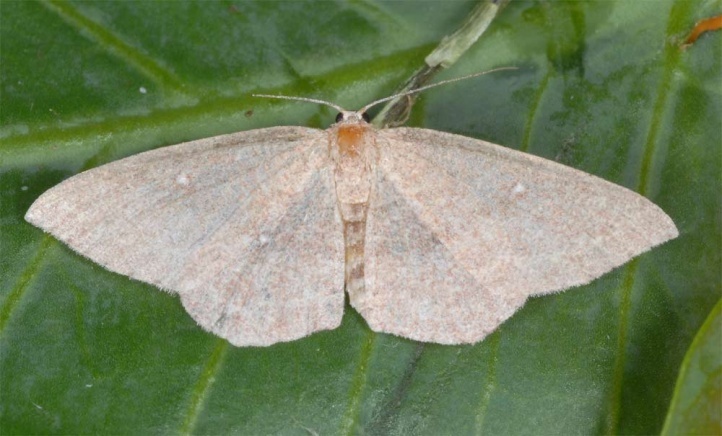 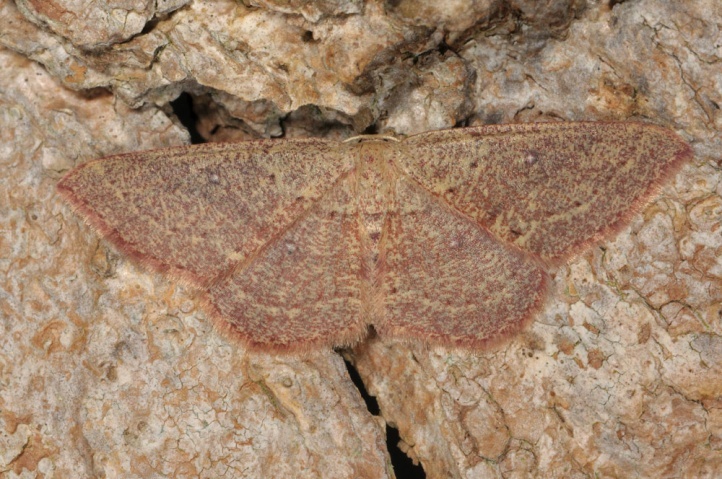 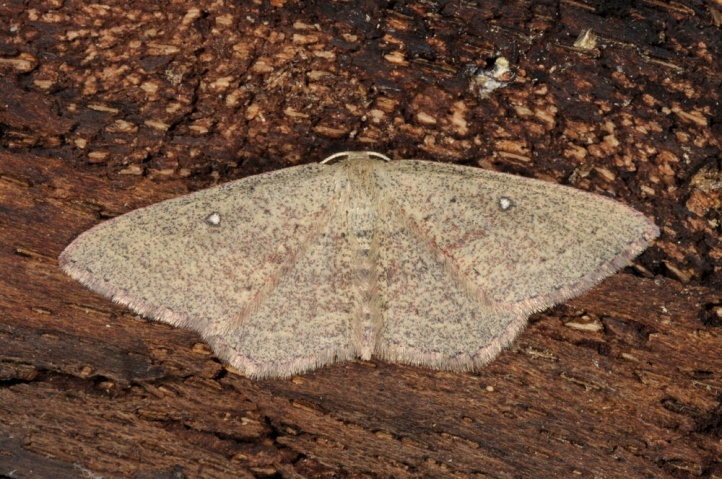 Cyclophora maderensis inhabits the laurel forests and adjacent grove rich habitats with tree heath (Fayal-Brezal). 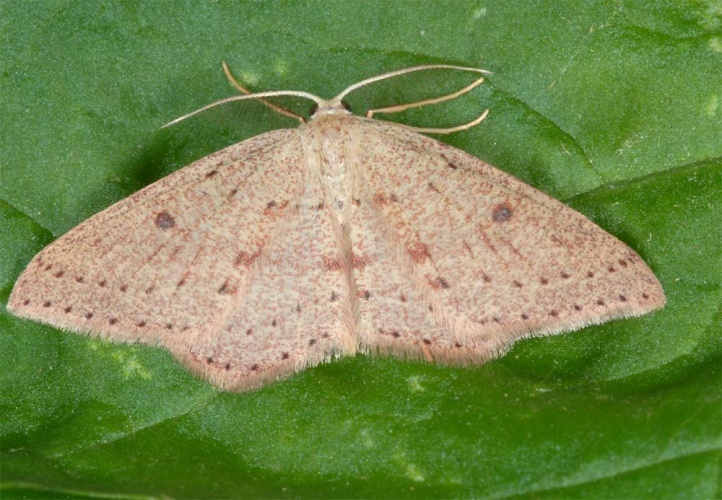 The moths fly all year round in many generations. 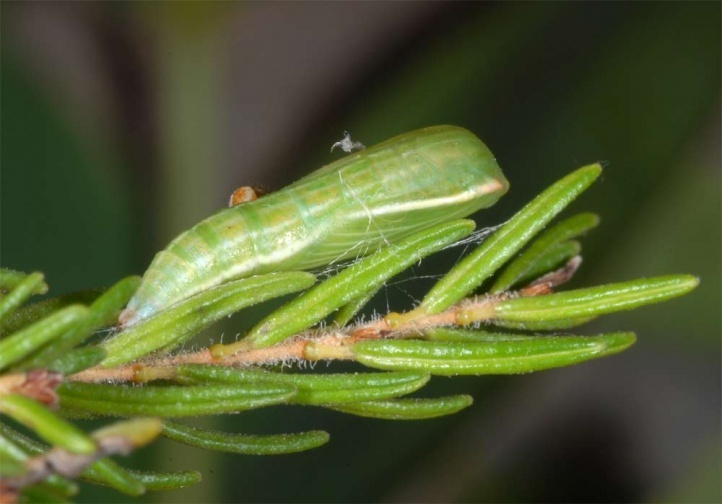 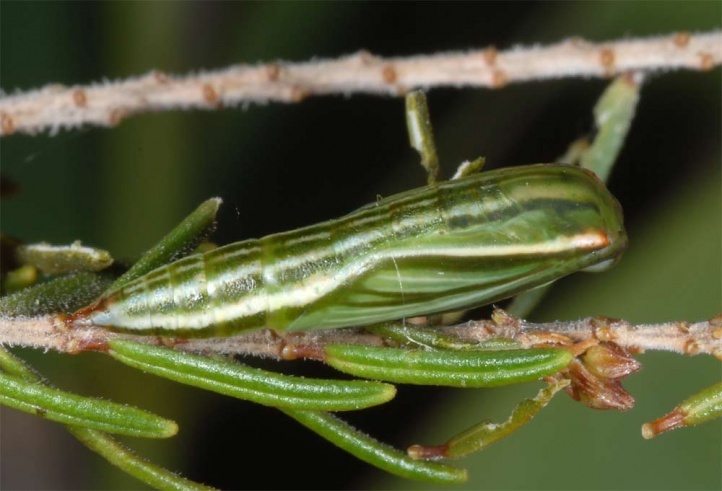 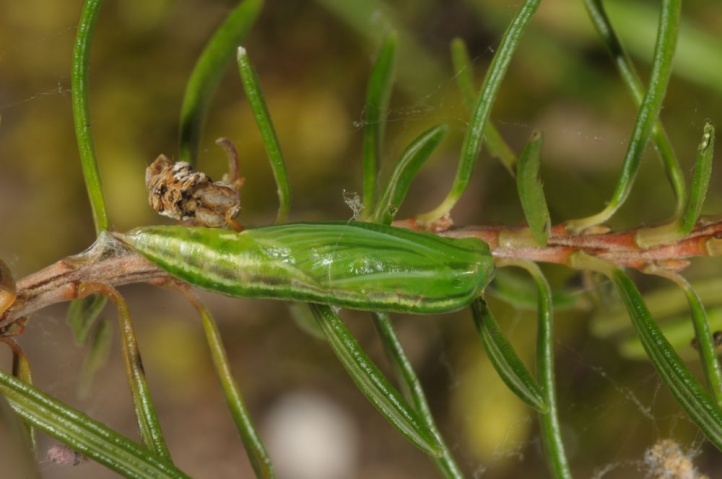 I found moths, caterpillars and pupae in La Gomera for example around Christmas 2009 and 2011. 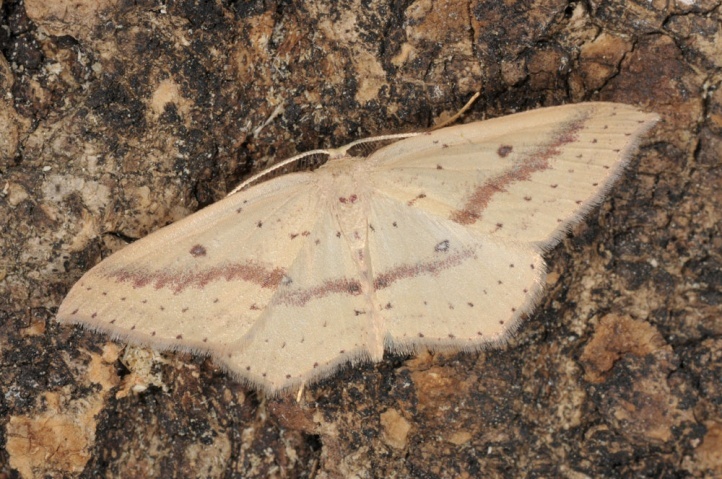 Cyclophora maderensis is somewhat threatened by development and intensification of formerly wood-rich habitats. 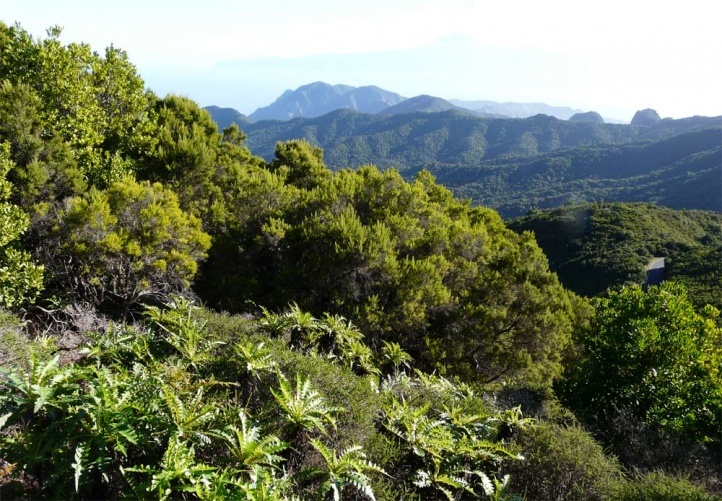 So it has been pushed back for example in Tenerife through the exuberant tourism and urban sprawl. 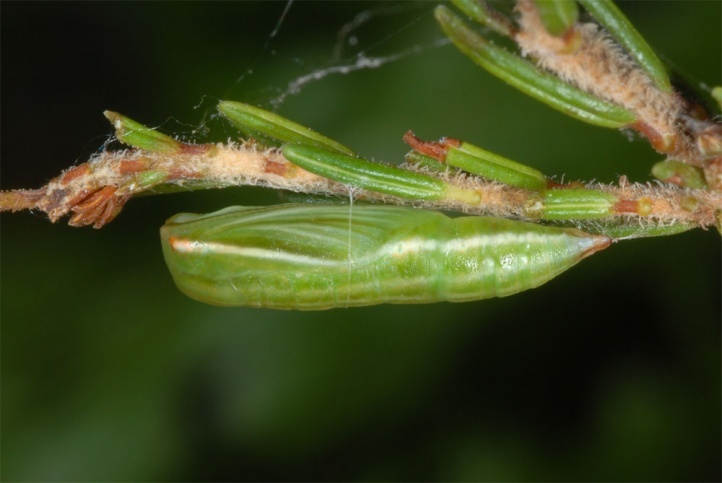 But it has low requirements and high abundances and therefore not threatened existencially. 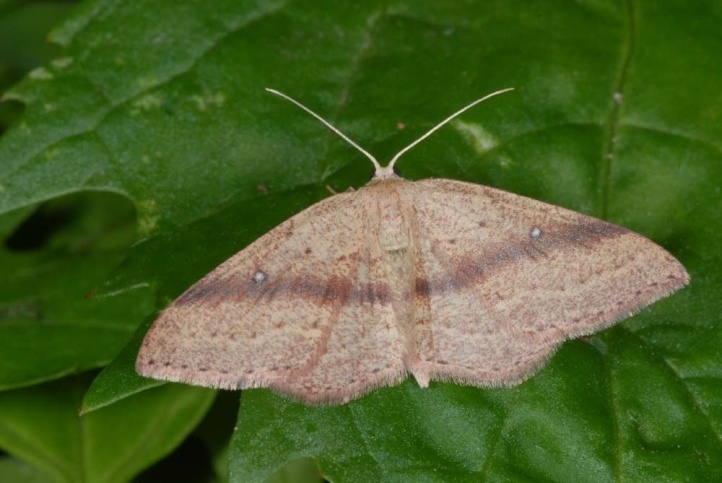 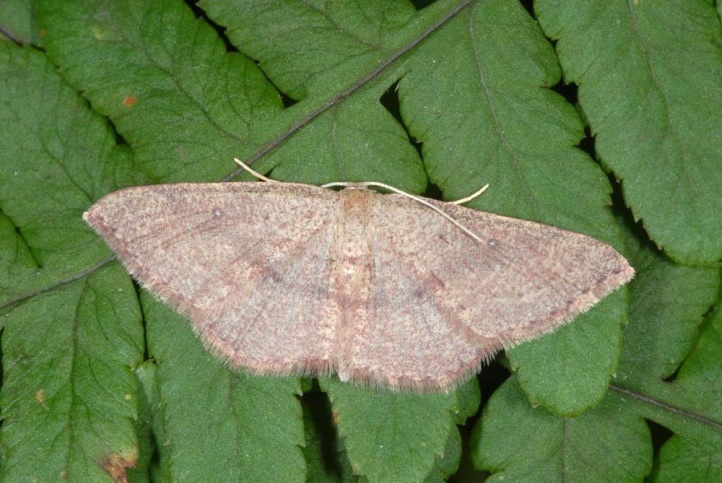 In La Gomera and Madeira, the moth is very common in suitable habitats. 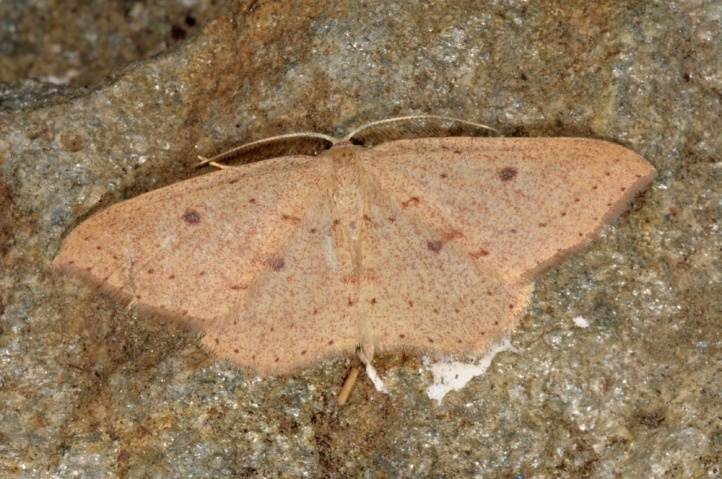 Cyclophora maderensis is endemic to the Atlantic islands, and is present on Madeira and the western Canary Islands (from Gran Canaria). 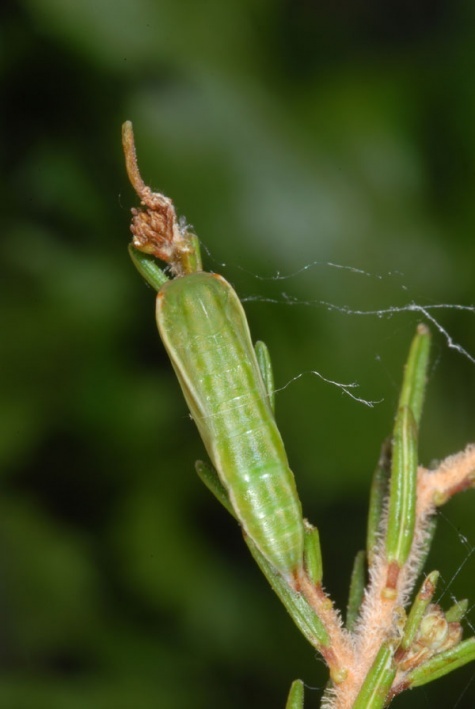 The form of the Azores is sometimes regarded as a distinct species C. azorensis.